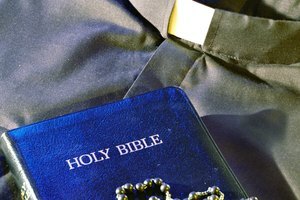 What Are General Confessions in the Roman Catholic Faith? A general confession requires a Catholic to reflect on all his sins. The Catholic faith requires sinners repent for their sins so they can maintain their relationship with God. Most Catholics go for their first confession as a child and are expected to continue to confess their new sins to a priest at least once a year. But a general confession calls on Catholics to reflect on the sins over the course of their entire life as a way to seek God’s forgiveness and reconcile their wrongs. Confession is also known as the Sacrament of Reconciliation or the Sacrament of Penance. 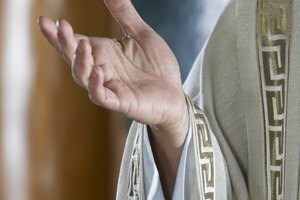 The sacrament is a voluntary self-accusation of sins to a priest. It requires the penitent to confess to all his mortal sins since his last confession so he can receive God’s forgiveness. It is meant to reestablish the relationship between God and the confessor. Giving a confession is a multi-step process that requires the penitent to exam her conscience, to feel sorrow for her sins, to confess those sins to a priest and to express she is sorry through the Act of Contrition. The priest assigns a penance -- often in the form of prayer. The penitent then is granted absolution, which is meant to lift guilt and take away any penalty for the sins, returning her to God’s good graces. A confession is usually done in a confessional at the church. Priests often schedule times before mass to allow clergy members to attend confession. The confessions are very short and are designed to focus solely on sins made since the last confession. A general confession, however, is a much longer meeting between the penitent and the priest. It must be scheduled with a priest ahead of time. At a general confession, the confessor is asked to reflect on all the sins of his life. These types of confessions can take several hours and require the penitent to spend a significant amount of time preparing and examining his conscience. Catholics are expected to attend confession whenever they commit a mortal sin -- and at least once a year during Lent. A general confession happens more irregularly. Most Catholics will only make a general confession once in their life, and some may never schedule one. It is recommended, however, for people at milestones, such as getting married or entering the religious life. A Catholic may also consider giving a general confession before embarking on a dangerous journey, such as going off to war, or after being diagnosed with a terminal illness. But no special occasion is required. A general confession is often confused with a general absolution. A general absolution occurs when a priest takes a simple communal confession and provides a blanket absolution for a group’s sins. General absolution is rarely used in the Catholic faith and it is even more rarely used in the United States. It should only be used in dire situations where individual confessions cannot be taken, such as the sinking of a passenger boat or a group of soldiers heading into a bloody battle. 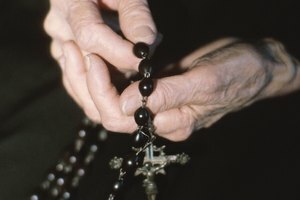 What Is Absolution in the Catholic Church? Zander, J.A.. "What Are General Confessions in the Roman Catholic Faith?" 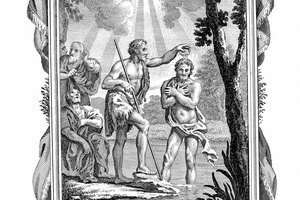 Synonym, https://classroom.synonym.com/what-are-general-confessions-in-the-roman-catholic-faith-12087390.html. 29 September 2017.